Waking up to the warm smell of freshly baked muffins in the air is every child’s dream. As adults also we love the smell of yummy muffins in the air and it tantalizes our taste buds like nothing else does. You can always try some banana bread recipe like this delicious muffins at home in no time at all by following this coffee banana bread muffin recipe. Grease and flour 12 muffin molds. In a large mixing bowl, take the butter and mashed bananas and mix them using a wooden spoon. In a small bowl, beat the egg till fluffy. Pour the egg in the butter-banana mix and mix well. Add the sugar, espresso and vanilla and mix all the ingredients together. In a separate bowl, add the flour, baking powder and walnuts and mix together well. 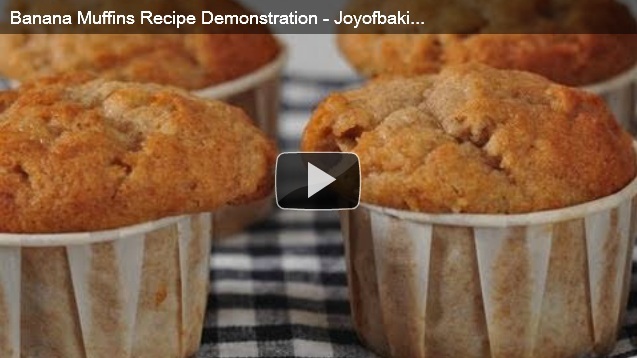 Pour in the muffin molds (fill only 3/4 cup) and bake in the preheated oven for 25-30 minutes. Cool for about 20 minutes before taking out of the mold and storing. In a saucepan, heat the butter and keep stirring until light brown in color. Mix the butter, powdered sugar and vanilla. Add 3 tablespoons of milk and combine well. If you find that the frosting is not very easy to spread then add the rest of the milk and mix. Spread the frosting over the muffins and set aside to cool. Decorate each muffin with sliced banana before serving. Use an electric blender to blend together the icing sugar, butter, honey and milk to a spreading consistency. Spread over the baked muffins to serve. You can also crumble some cookies over it for more appeal. Waking up to the smell of warm healthy pumpkin bread on a Sunday morning is one of the best treats you can give your children. The best part of making pumpkin bread is that it does not require any special ingredients and you don’t have to run to the market every time you get a craving for some delicious pumpkin bread recipe. 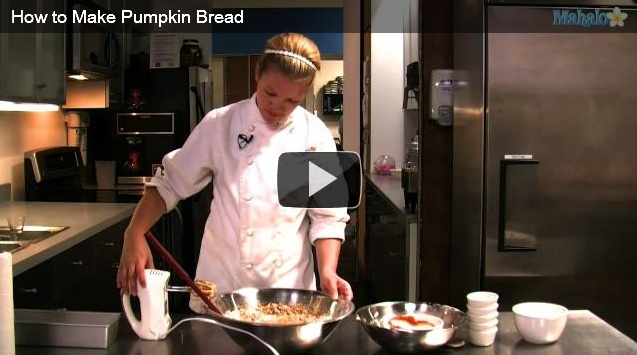 Here is a simple and healthy pumpkin bread recipe for you. Spray an 8-inch meat loaf pan with some cooking spray and dust with flour. In a mixing bowl, beat the egg whites and sugar together until fluffy. Add the oil and yogurt to the mix and blend well. Stir in the mashed pumpkin and vanilla extract. Combine the all-purpose flour, wheat flour, cinnamon, nutmeg, baking powder and baking soda in a bowl. Add these dry ingredients to the wet ingredients, a little at a time, and blend well to mix properly. Note: Keep in mind to mix the ingredients until they are just well combined. 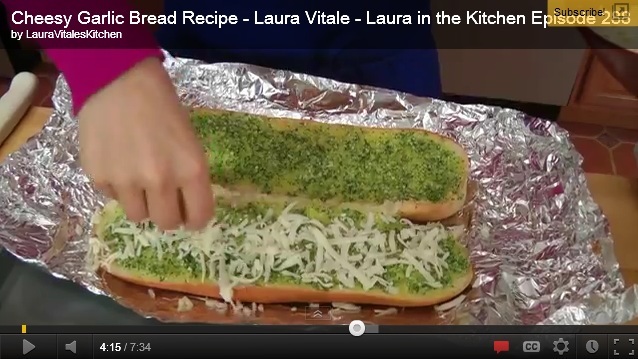 Do not over-mix as it kills the puffiness of the bread. Pour the batter in the prepared pan and smooth the tops. Bake in the preheated oven for about 45-50 minutes or until a toothpick inserted in the center of the loaf comes out clean. Cool in the pan for 10 minutes and then invert the bread onto a wire rack and cool completely. When serving at parties, serve the bread on a wooden board and decorate with some pitted cherries on the side. You can also cut in slices and serve with butter and cream cheese on the top. 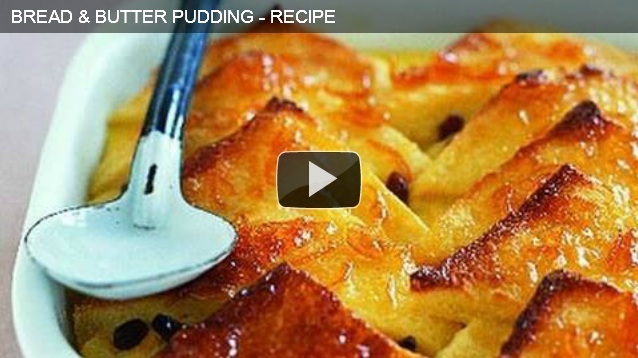 If using as a dessert, serve the bread with fruit custard or whipped cream. This bread also makes a great after school snack and you can serve it with milk or juice. Healthy pumpkin bread freezes well: Wrap it in foil and freeze in good quality bags for later use. Bread is one of the most popular food items in the world. Every corner of the globe has its own recipe for bread. Baking bakery-like bread at home has become quite easy with the use of a bread machine. You can use different types of flours, nuts, herbs and even meat to prepare delicious and fresh bread machine recipes at home without any fuss. Given below are two healthy and nutritious easy bread machine recipes. 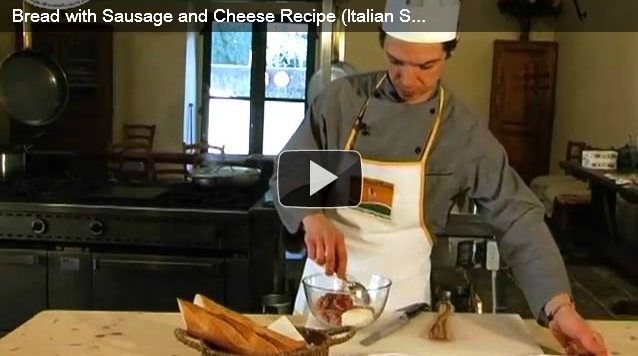 – In a bowl, mix the flour, mixed herbs and salt, and set aside. – In a saucepan, heat the butter and sauté the chopped onion and garlic clove in it until translucent. Set aside to cool. – In a small bowl, mix the yeast, warm water and sugar. Stir to dissolve completely and let it rest for 10 minutes. 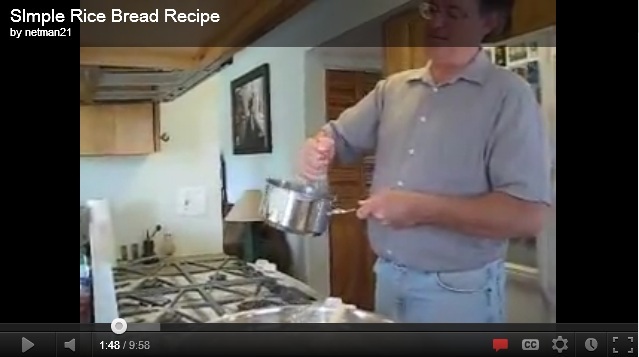 – Pour the yeast mix in the clean bread pan of the bread machine. – Add the flour mix on top of the yeast mix. – You do not have to stir or mix anything as the machine will do the rest of the job. – Set the machine settings to white bread and normal crust. – Once the cycle is complete, take the bread out and let it cool on a wire rack before cutting in slices to serve. – In a bowl, mix the wheat flour, oat flour and all-purpose flour. – Mix the yeast with the warm milk and sugar. Stir to dissolve completely. Let it stand for 10 minutes. – Pour the yeast mix in the bread pan of the bread machine. – Put the flour mixture on top of the yeast mixture and add the butter and salt on the sides. Put the lid on the bread pan. – Set the machine to run on white bread cycle with normal crust. – Once the bread is done, cool on a wire rack for some time before cutting in slices. Vegan banana bread recipe is easy to prepare and all the vegan ingredients are easily available in the market. It is healthy and low fat as oats, wheat flour, nuts and bananas are added to it, which increases its nutritional value. Given below are two versions of a moist and flaky vegan banana bread recipe (one with chocolate chips and one with strawberries). Add the olive oil and water to the mashed bananas and mix well. You can use an electric blender at low speed for this. Add the sugar and blend the mix well. Add the milk and apple cider vinegar to this mix. In a separate bowl, mix the oat flour, wheat flour, baking powder, baking soda, flaxseed powder and cinnamon. Stir the dry ingredients in the wet ingredients and blend the mix well. Add the chocolate chips, walnuts and almonds to the mix. Line a 9×5 inch baking pan with parchment paper. Pour the batter in the baking pan and smooth the tops. Bake in the preheated oven for about 1 hour and 20 minutes, until a toothpick inserted in the center comes out clean. Cool before cutting in slices to serve. Add the diced strawberries along with the mashed bananas and stir the mix well. Add the lemon rind in the wet ingredients. Place strawberry slices on the top of the batter when baking. Bake at 350F for 30 minutes and then cover the bread with foil to prevent the strawberries from getting brown. Bake at 325F for another 25-30 minutes. Let the bread cool overnight before serving. The bread might feel a little raw because of the moistness; if you like a drier kind of bread you can bake it slightly longer. As soon as you hear the first footsteps of fall coming around the corner, you know it is time to put on your baking gloves and starting baking delicious pumpkin pies and breads. But for those who get cravings for pumpkin bread recipe with canned pumpkin during summer, you need not be disappointed as you can easily use canned pumpkin to prepare the bread at home. Instead of using a simple pumpkin bread recipe, here is one that has a delicious cream cheese frosting in the center that offsets the sweet taste of the bread with its tanginess. This recipe caters for two 9×5 inch breads; therefore, you will need two greased pans. Roast the walnuts for about 5-6 minutes on a low flame and set aside. In a mixing bowl, mix the cream cheese and sugar and beat using a food processor or a blender at a low speed until you get a smooth creamy mix. Beat in the eggs, one by one, and once the eggs are mixed gently stir in the flour. Do not over-beat the mix otherwise it will melt while baking. In a separate bowl, mix the all-purpose flour, baking powder, baking soda, nutmeg and cinnamon. In another deep mixing bowl, beat the eggs until light and fluffy. Add the sugar, butter and vanilla extract and whisk them well. Use a spoon to stir in the pumpkin, water and nuts. Do not beat too much otherwise the bread will be hard. Now add the flour mixture and stir well. There should be no streaks of flour in the mix. Scrape the sides well when mixing so that all the ingredients are well incorporated. Divide the batter in four parts. Take two parts and pour them evenly in the prepared pans. Divide the cream cheese frosting in two and place on the batter in the two pans. Top the pans with the remaining two parts of the batter. Don’t press it down too much; instead just use a spoon to drop it on the top. Bake in the preheated oven for about 55-65 minutes until the tops are firm and a toothpick inserted in the center comes out clean. Cool for 10 minutes before cutting in slices to serve. You can store this bread for up to 2 weeks in a zip lock bag.